Ray’s Rat and Mice Control Services. For a Rodent-free Tomorrow. Oh, you have a rodent issues? It’s time for professional rat and mice control. They can be a problem all year round. Your house provides shelter, safety, and a never-ending source of food. This creates the perfect living and breeding conditions for these pestilent rodents. Once these conditions are met, it’s extremely difficult to remove them unless you locate the source of the infestation. This makes mice and rat pest control paramount. Mice and rats can be the reason for a wide variety of structural damage in your home. They can chew through cables, pipes, insulation, and more. Repairing all of this can be quite costly. Aside from that, they carry a host of different diseases and have a really brief reproduction period. They start reproducing at around 6 weeks, with a 3 week gestation period, meaning their numbers multiply 8 to 10 times every 9 weeks. You can do the math. How can we help? At Ray’s Pest Control have a reputation to uphold, which is why every job is performed to the highest of standard. 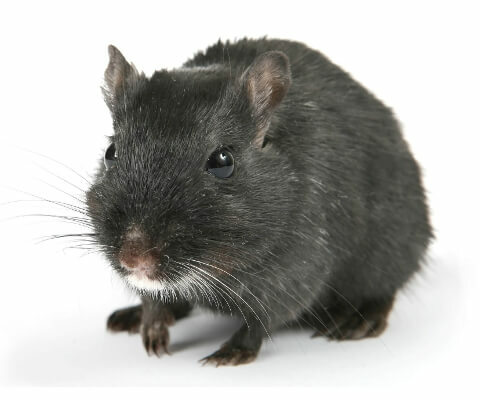 Our rodent control services in Sydney have delivered many people from the plague mice and rats represent. Hiring a professional pest control company will be beneficial because we won’t simply treat the symptoms. We’ll cure the disease. Inspection. Our mice and rat controllers will do a proper inspection in order to identify the core of the infestation. This includes locating entry points, identifying nests, as well as type of infestation, breeding grounds, food sources, and more. This is important because mice and rats have some crucial differences rodent controllers are aware of and exploit in order to rid you of this menace. Treatment. Once the preliminary information has been gathered, our mice and rat exterminators begin deploying traps and using rodenticides. Advice. The rodent control technicians will also provide you with useful advice on how to avoid such dire situations in the future. Ray’s Pest Control – pests are the disease. We’re the cure. Call us on 02 9098 1796 and book rat and mice extermination today! The main difference between rats and mice is their size – this is the first thing you’ll notice. Rats are several times larger than mice and look a lot more menacing. Behaviourally, rats are more aggressive, yet more cautious than mice. This is a crucial component of any effective pest control treatment. Because of the difference in size, rat droppings are also bigger. This information should help you identify what kind of infestation you have on your hands. However, trying to take care of it on your own is ill-advised as it can hide certain risks. You can get bitten, the rodents may die in your walls, and a myriad of other possible complications. Besides, why bother, when you can solve the problem with a single phone call?